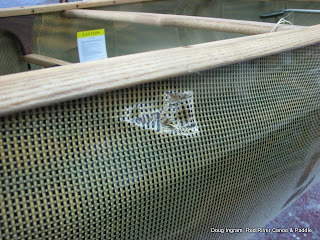 This is a brand new Bell Canoe Works Kevlar/carbon fiber canoe. Somehow it received a great big hole right beside the bow seat. 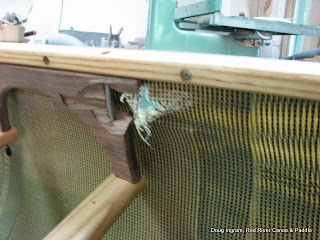 This is the side that was to the inside of the canoe trailer. Will mysteries never cease? Broke the seat hanger, too. How much of an impact does it take to do this?